First, connect the GND pin on your module to GND on your OPi's header (I've connected it to pin 9), then VCC to 3.3V on your board (pin 1 will do), then SDA and SCL to pin 3 and 5 respectively, then boot your board. 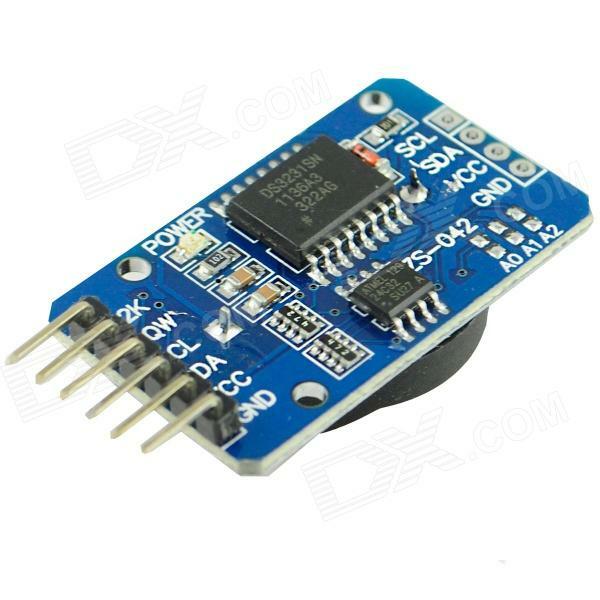 This tells the I2C subsystem that there is a device at address 0x68 on I2C bus 0, and it should use the ds1307 driver. Since H3 has an internal RTC, just without a backup battery, the detected RTC on the I2C bus (the one you just connected) gets detected as rtc1, and not rtc0, thats why we need to tell hwclock (an utility for using the hardware clock) to use rtc1 instead. then save with "Ctrl-O", enter, and "Ctrl-X". This tells our OPi to sync the clock at every boot, overriding the internal clock. Congratulations, you have the RTC set up! Now your OPi will keep time even after a power cycle. hwclock -f /dev/rtc1 --set --date="YYYY-MM-DD hour:minute"
hwclock -f /dev/rtc1 --set --date="2016-01-24 17:57"
I am using rtc ds1307 and Linux orangepizero 3.4.113-sun8i. gives back "Sat 01 Jan 2000 ..." when I exclusively set the time to current date and time. Please help me up with this problem. I have been stuck with RTC for too long. Thank you. (02-26-2018, 11:38 AM)saad.majid Wrote: I am using rtc ds1307 and Linux orangepizero 3.4.113-sun8i. You aren't using the RTC the instructions are for, did you expect it to work? DS1307 uses a different address and a different register map. Maybe someday i will get a module... but to be honest, since they are priced the same, and DS3231 is a superior product because of the TXCO, i don't really see a point. There are plenty tutorials online, and with little modifications (address, address in the echo command) you should be able to get DS1307 working too. Olá como faço para o ds3231 funcionar no Android?